Vox Musical Instruments are famous for their amplifiers. 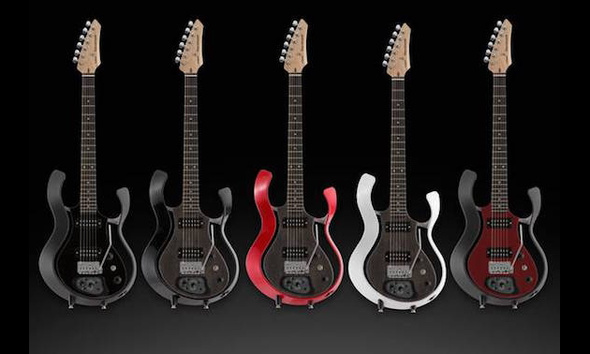 Back during the Jennings/Thomas period the company attempted to put together a line up of guitars. These were made in Italy by the EKO and Crucianelli companies, but were overshadowed by their wonderful amplifiers. 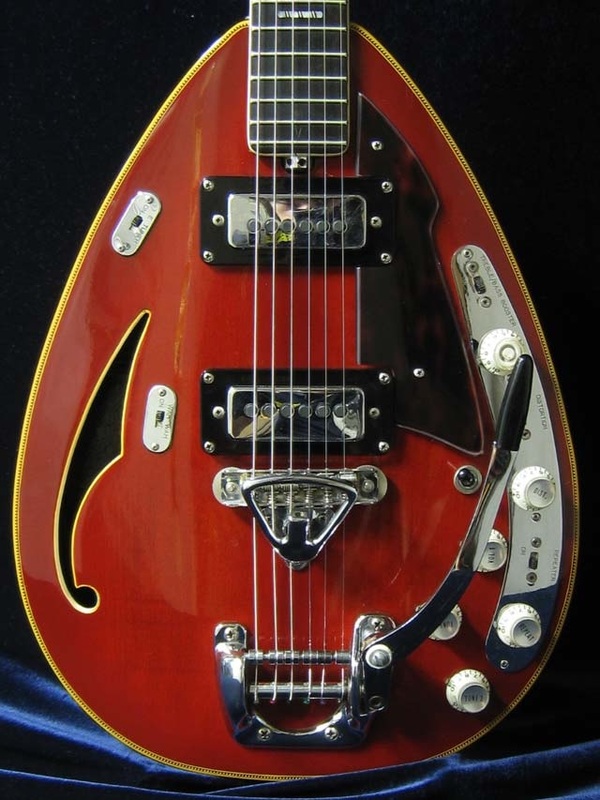 Some of these guitars from that period were very interesting and futuristic and still quite collectible. Vox tried unsuccessfully to resurrect their guitars a few years ago. But now the Vox Company has come up with a new instrument with an old name. The Vox Starstream. 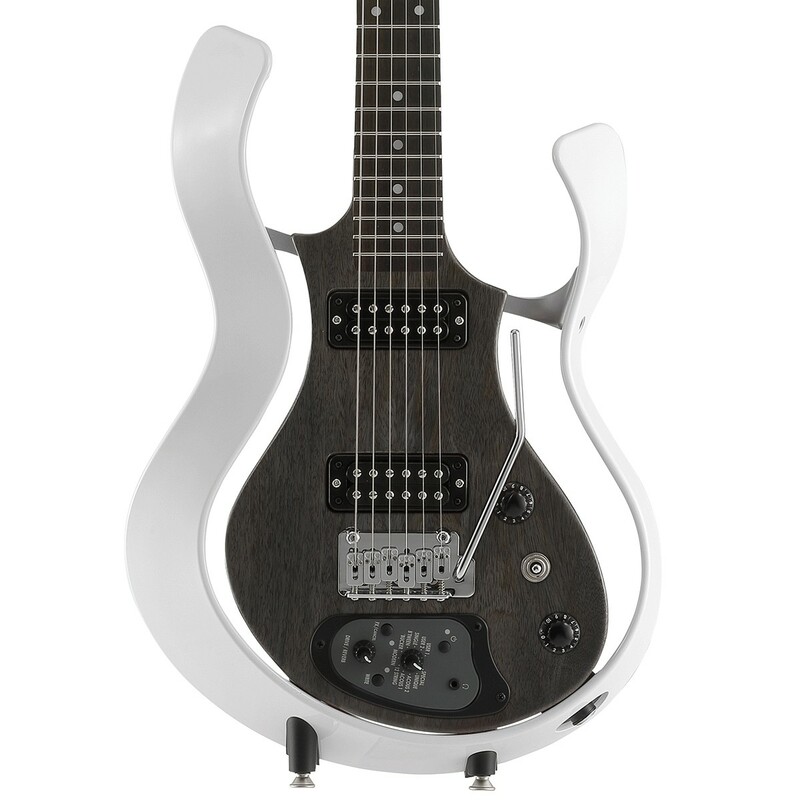 The Vox Starstream Type-1is a unique modeling guitar that incorporates a new system called AREOS-D. 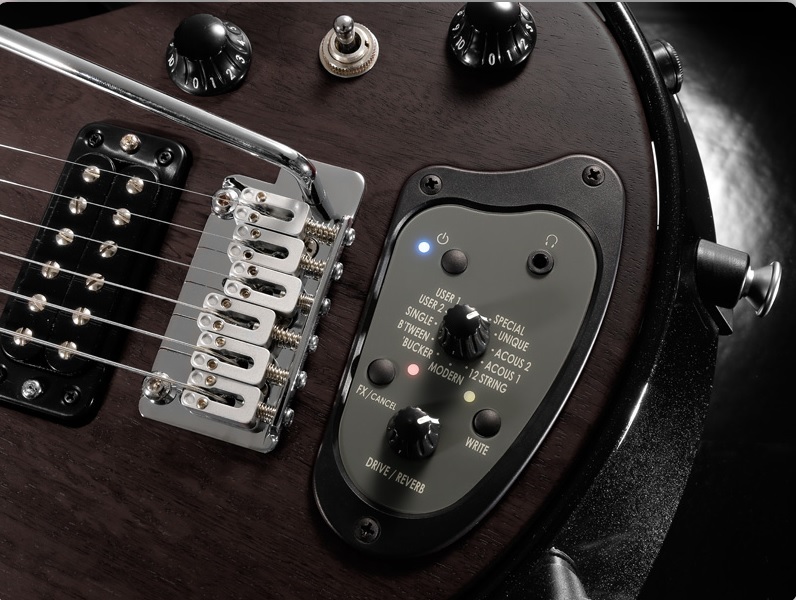 This highly developed DSP processor that powers the on-board electronics to produce classic electric and acoustic guitar sounds from the guitars magnetic and piezo pickups. 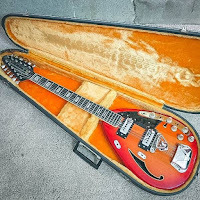 This includes traditional volume, tone and pickup selectors and a control module to alter the instruments 27 different sounds, including electric and acoustic guitar six, twelve string and banjo sounds as well as synth and sitar sounds. The DSP was developed by the same designer that worked for Line 6. The guitars body is sculpted from mango wood, while the neck is made of maple. The neck is topped with a 22 fret rosewood fretboard. The six-in-a-line headstock included sealed die cast machine heads.This guitar is topped with twin Vox XLM humbucking pickups and six piezo in the bridge saddle. The bridge and saddle are a vibrato unit. Below them are the tone, volume and pickup switch. Behind the bridge/saddle assembly is the control module that provides access to the tone shaping parameters which include Drive and Reverb. The control module is powered by four Alkaline AA batteries or four Rechargeable Ni-MH AA batteries. The control module has 3 banks of nine sounds which include two user banks to store your favorite sounds. 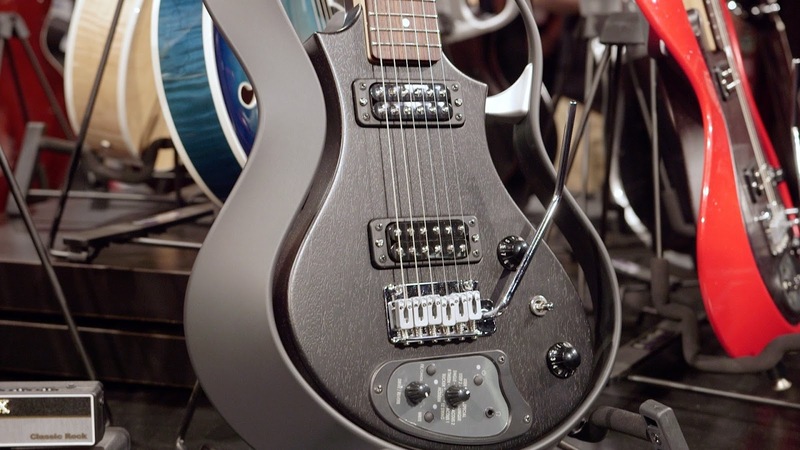 Although the Starstream Type 1 was set to sell in the spring of 2016 starting at $699 USD, I have not found this guitar for sale in the USA at this time. In Britain the suggested retail is £790. Anderton's has it for sale for £590. In 1968, the guitar fad was declining, but the Vox company, JMI, and it's USA counterpart were still producing their incredible amplifiers and guitars. Among these was the six string Vox V269 Starstream and the twelve string Vox V270 Starstream XII. 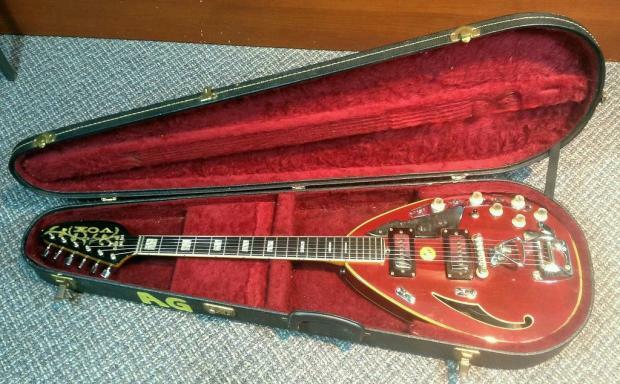 Both were amazing instruments that were loaded with all the bells and whistles a guitarist of that era would need. 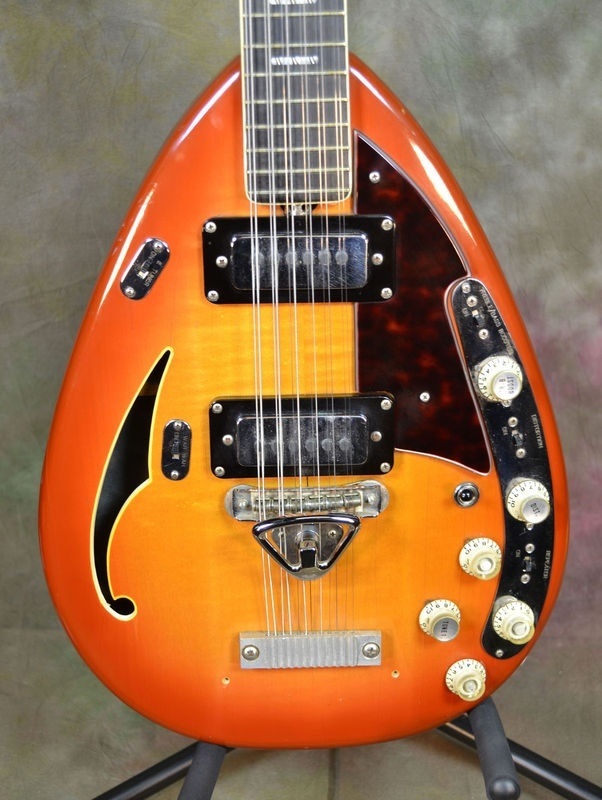 These guitars had the Vox teardrop body with one unique F-hole on the upper bout. The bodies were hollow inside. 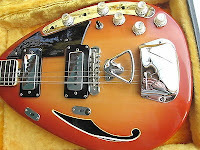 The V269 six string model had binding around the top and bottom of the guitars body, while the V270 was unbound. Both instruments had bound maple necks with rosewood fretboards and block inlays. 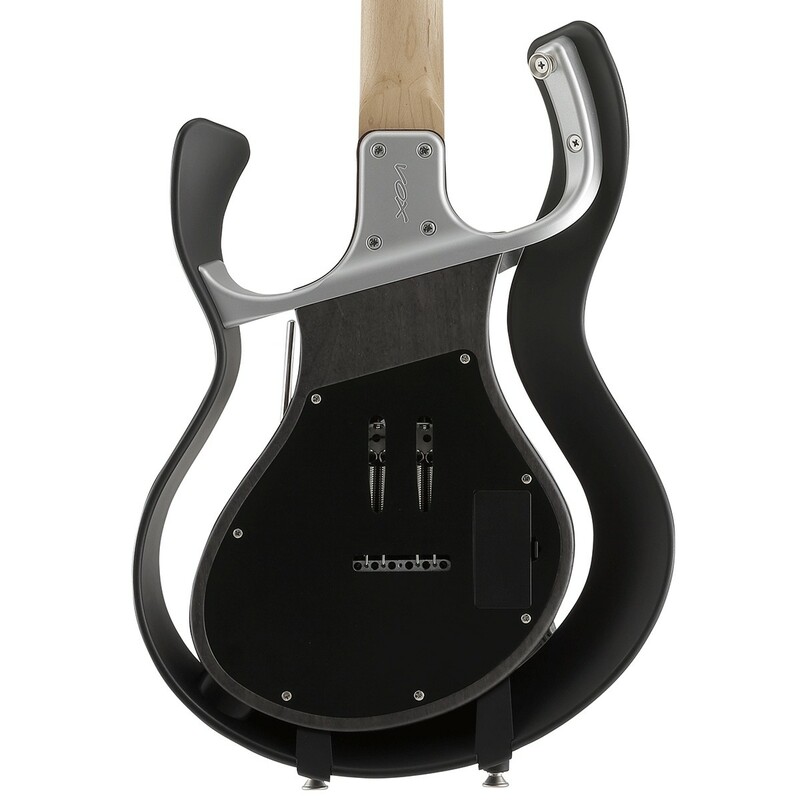 The logo VOX was embossed in gold letters on the black headstock veneer along with vine design. Both guitars came with what are described as twin Fero-sonic pickups. The truly unique factor that set these guitars apart were the built-in effects. A slider switch on the upper side of the guitar turned on a transistorized oscillating circuit called an E-tuner. This seems simplistic today, but in the mid 1960’s there were no digital tuners. All that was available was an expensive strobe tuner, a pitch pipe or a tuning fork. 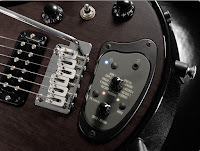 The guitars had a single potentiometer that functioned as a volume control for both pickups and two potentiometers that served as individual tone controls. A chrome plate on the lower bout housed the controls for the instruments effects, which included Treble/Bass booster control, which included a slider switch and a volume control. The next control was a distortion module that had a similar set up; an on/off slider switch and a knob to control intensity. And finally there was a repeater switch and a control for the speed of the repeats. This control was a holdover from the days that the company sold organs. Perhaps the best way to describe this effect is to consider the banjo sound in the Hollie’s song, Stop, Stop, Stop All the Dancing. The last effect was a palm operated Wah-Wah. This was turned on by a switch on the upper side of the bridge pickup. This effect gave off the crystal clear tone of the famous Vox Clyde McCoy Wah-Wah. 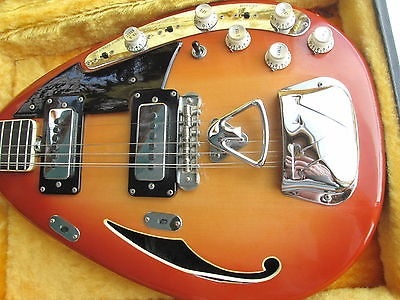 The model V269 came with a Bigsby-style vibrato unit, while the V270 had a simple bar bolted to the body to secure the strings. There was a chrome cover that went over this bar. A large circular black pad was on the backside of these guitars. This snapped on similar to the pads found on some Gretsch guitars. 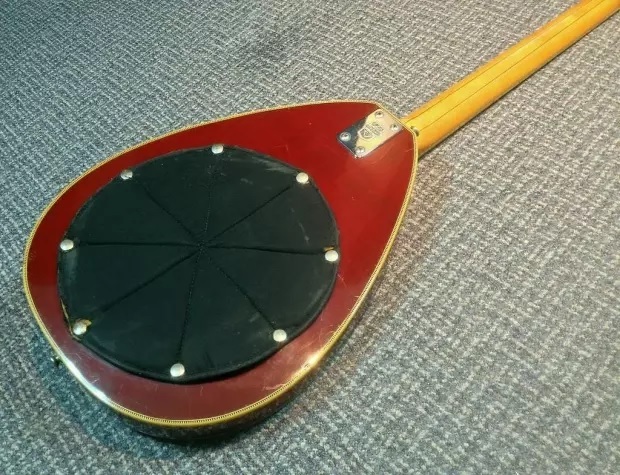 This pad was actually the access cover to the guitars interior and needed to be removed to change the 9 volt battery that operated the instruments effects. A friend of mine owned a V270 twelve string and it was a pleasure to play. The strings were set up properly; not too far off the fretboard. The effects worked beautifully. Especially the palm operated wah-wah. Both instruments have not been made since 1970 when the Whirlpool corporation purchased the assets of Vox USA. They are still available through online auction and sellers. Click on the links under the photos for sources and the links in the text for further information. 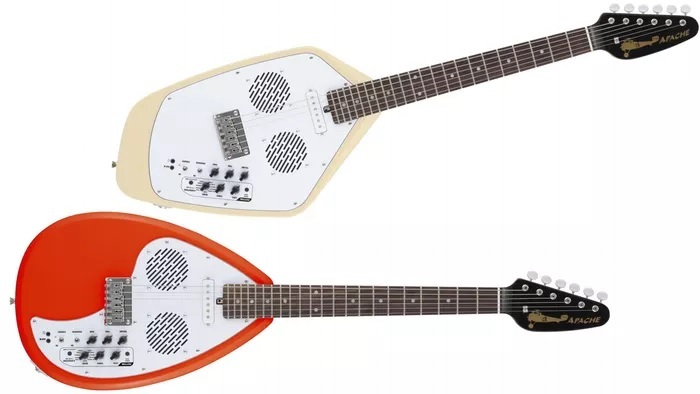 For some reason, my Freshman and Sophomore years of high school, I fell in love with the look of the white Vox teardrop and wanted one really bad. 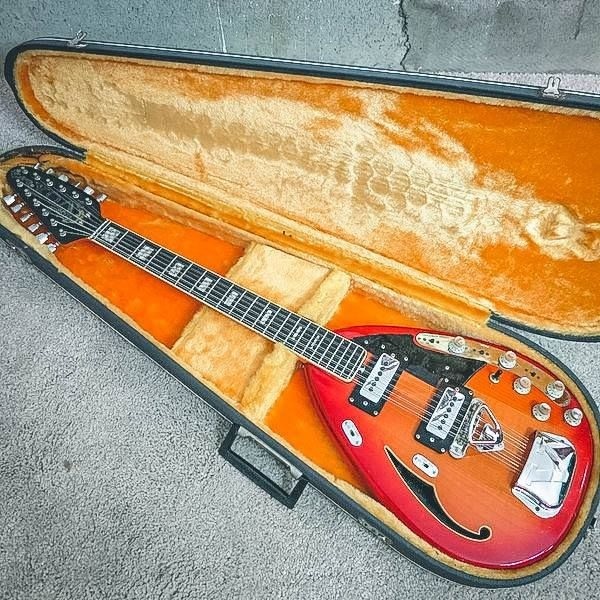 My band played at a Battle of the Bands one night and I couldn't believe it when I saw a guy open a guitar case and pull out a white teardrop six string. I wasn't really interested in all the effects. Never played one, I just loved the look. I think the first time I saw one was when Brian Jones played a white 12-string on, I think, Ed Sullivan. 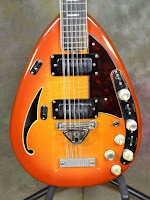 I did another blog article about Vox Guitars some time ago. 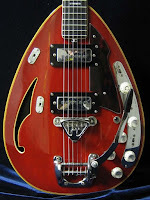 The one the Brian Jones played was a prototype. I found a video of some guys examining it. That prototype had a Fender bridge. Go figure. Thanks Terry for stopping by. 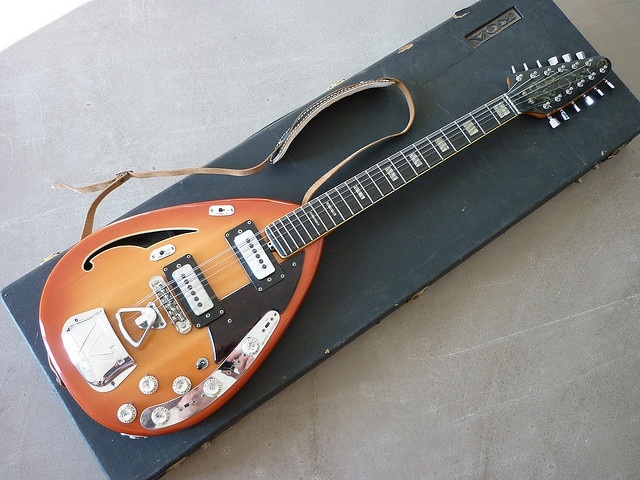 Digging those old teardrop-style Vox guitars. 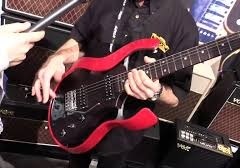 Intrigued by this new Starstream Type-1 as well, looking forward to checking out those "27 sounds". They certainly have a unique look as well.